Jump Force’s cast of bad guys gets a boost today with the original Chakra wielder from the world of Naruto joining their ranks. 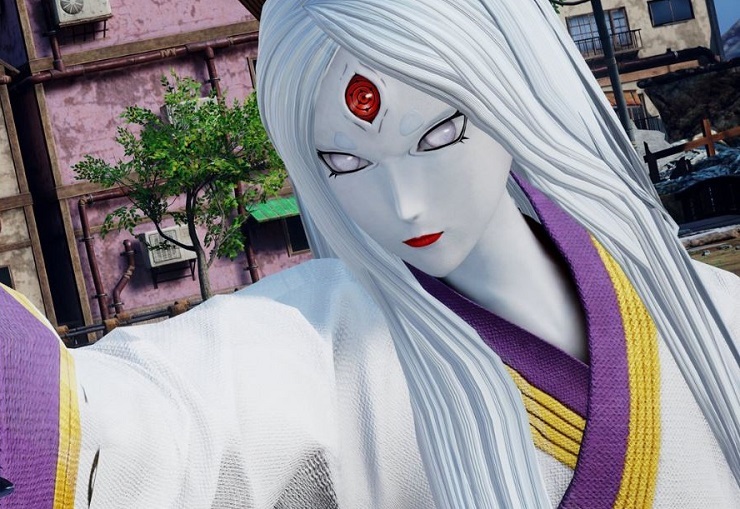 As the Jump Force train rumbles on towards the game’s February release date it’s getting difficult to remember who is and isn’t in, the latest character is Kaguya Ōtsutsuki, the final enemy from the Naruto series, the Ōtsutsuki matriarch and the original chakra wielder of Naruto lore (chuckle). Kaguya not only has the Byakugan, but also a central eye containing a Rinne Sharingan, making her an extremely powerful foe. If you’re one of those people excited about the release of Jump Force on February 15 then you might be interested in the rather expensive Collector’s Edition available through the Bandai Namco store priced at a rather lovely £289.99.